To increase awareness of how state and local governments raise capital, the Municipal Securities Rulemaking Board (MSRB) has created a state-of-the-art online course that enhances educational resources available for municipal government professionals. "Being an Informed Municipal Bond Issuer" is a complimentary course that is part of MuniEdPro℠ – the MSRB's suite of interactive online courses designed to provide up-to-date content relevant to municipal market activities and regulations. 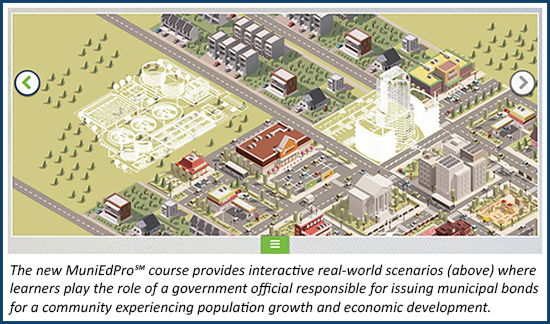 Senior government finance professionals helped the MSRB create real-world scenarios for this new course that allow learners to assume the role of a municipal bond issuer. Upon meeting course requirements, learners can obtain continuing professional education credit at no cost. Individuals can take the course through the MuniEdPro℠ platform on the MSRB's website and it is helpful for anyone seeking knowledge about the municipal bond issuance process. Organizations that wish to incorporate the material into an in-house learning management system can contact me to obtain a copy of the course. We hope municipal market participants will take advantage of "Being an Informed Municipal Bond Issuer" and other educational materials the MSRB makes available on MSRB.org. Register for MuniEdPro℠ to get started with the course, or access the MSRB’s Education Center for other resources. For more information, contact me at rmclaughlin@msrb.org or 202-838-1306. Municipal advisor firms should ensure that individuals engaging in municipal advisory activities on their behalf are preparing to take and pass the Municipal Advisor Representative Qualification Examination (Series 50) by the September 12, 2017 deadline. Municipal advisor firms and those who engage their services should be mindful that after September 12, 2017, only those individuals who have passed the Series 50 exam can engage in municipal advisory activities on behalf of a municipal advisor firm. Read more about Series 50. View a list of Series 50-qualified municipal advisor representatives and their associated municipal advisor firms. The MSRB Board of Directors held its quarterly meeting April 26-27, 2017 where it discussed the role of solicitor municipal advisors and industry feedback on several regulatory topics related to promoting a fair and efficient municipal securities market. The Board agreed to publish guidance on the application of MSRB rules to the category of municipal advisors that, for compensation, solicit municipal entities and obligated persons for business on behalf of certain other financial professionals. The Board also discussed industry feedback and comments related to primary offering practices, the application of CUSIP numbers, advertising standards for municipal advisors and dealers, and municipal securities transactions below a required minimum denomination. As part of the MSRB's regulatory efficiency initiative, the Board agreed to seek approval from the Securities and Exchange Commission (SEC) of proposed changes to MSRB Rule G-26, on customer account transfers, designed to modernize the rule and promote a uniform customer account transfer standard for all brokers, dealers and municipal securities dealers. Read a full summary of the Board meeting here. 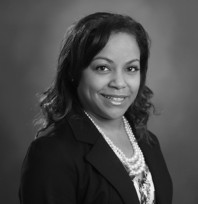 The MSRB recently announced the September 5, 2017 effective date of amendments to MSRB Rules G-12, on uniform practice, and G-15, on confirmation, clearance, settlement and other uniform practice requirements with respect to transactions with customers, to define regular-way settlement for municipal securities transactions as occurring on a two-day settlement cycle (T+2). The SEC had previously approved these amendments and other technical changes to MSRB rules on April 29, 2016. The migration to a T+2 settlement is expected to provide significant benefits to the financial industry broadly, including the mitigation of counterparty risk and an increase in global settlement harmonization by aligning the U.S. markets with other major markets. Read the full regulatory notice. 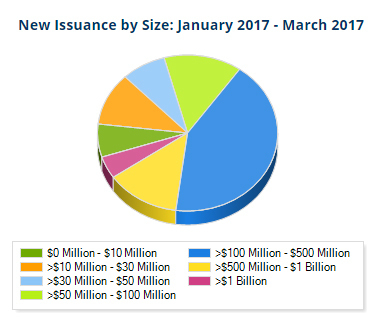 During the first three months of the year, 2,620 municipal bonds were issued for a total of $95.1 billion. The first quarter of 2017 also logged a daily average 42,299 daily trades of municipal securities with an average par amount of $11.1 billion. Statistics like this are always available on the MSRB’s Electronic Municipal Market Access (EMMA®) website, and can be configured to generate data for specific date ranges. Use EMMA’s market statistics to understand trends and patterns in the municipal market. The MSRB collects data on new issuance, trading activity and continuing disclosure volume, and provides interactive tools on EMMA to generate charts and graphs to assist in visualizing these statistics. on-demand webinars, many of which are available for continuing professional education credit. On-demand webinars include overviews of amended or new MSRB rules for municipal advisors, and educational seminars for state and local governments.